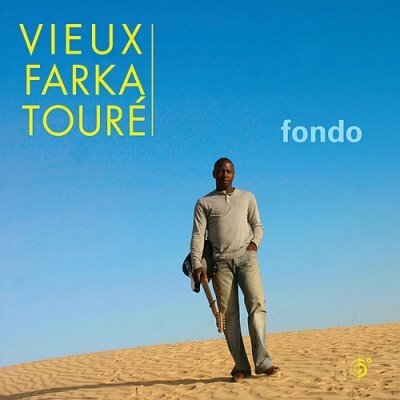 I've spent much of the last few months listening to Vieux Farka Toure's 2009 album Fondo nearly every day. It's one of my favorite recordings in years, featuring an innovative mix of traditional Malian rhythms, an up-to-date sound, great supporting musicians, and (of course) blistering, very special guitar playing. I really like this recording. Vieux makes waves now wherever he goes, as Marc Bruner noted recently here. Vieux came through Washington, DC not long ago for an impressive evening with Elikeh, the roots afropop group, and heads were spinning. I had listened to Vieux's first solo album and was impressed, but the new CD breaks ground with its synthesis of different sounds. And did I mention the blistering guitar? Wow. 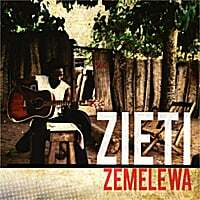 I'm not the only one taking notice--the CD has received great reviews around the world: "firmly establishes young Toure as a bona fide African guitar hero" (Banning Eyre, NPR); "his finest work to date" (The BBC); "dazzling" (The Guardian); "glistening, reverb-drenched tone recalls Eric Clapton's in the original 'Layla' " (The Boston Phoenix). And our friends at Modiba Productions have a pretty amazing video of Vieux casually playing acoustic guitar--can he make it look any easier? New Ebo Taylor Release "Appia Kwa Bridge"
Masterpiece of Afro-Jazz, "Introducing Hedzoleh Soundz"